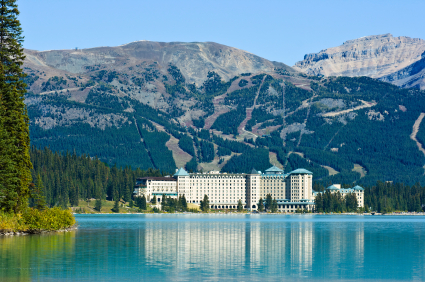 The First Passage to the West Highlights package is wonderful not only because it includes a night at the Chateau Lake Louise as well as a night in Banff National Park combined with nights in Vancouver, Calgary and Kamloops. It is also wonderful because of its versatility. You can add a rental car in the Rockies, add hotel nights and add tours and activities. 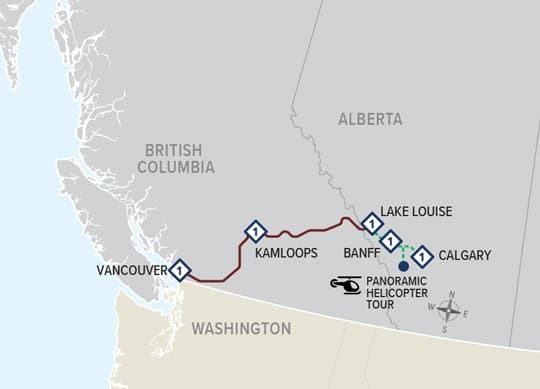 This vacation begins with an overnight stay in Vancouver or Calgary on Sundays and Thursdays from April 14 until October 10, 2019. In 2019, this package is renamed to the First Passage to the West Highlights. In 2017 this package was called the Canadian Rockies Highlights. Call 604-990-9299 or 1-800-913-9207 or Email for more information and reservations. Alcoholic and non-alcoholic beverages are included. GoldLeaf Deluxe – All the amenities of GoldLeaf with upgraded rooms at your overnight accommodations.